Getting a quote is easy. Fill out one of our free online quote request forms or call us at 803-256-8983 today. We are not a self-service, be-your-own-agent, click-&-charge-to-your credit card, "virtual" insurance company, and you don't have to call 800 SOMETHING and speak to a phone clerk in Fargo when you've got a problem (how convenient is that?). We're right here in Columbia---right where we've been since 1966---adding our services to the value of your policies. Our dedication to our long-term success means dedication to your success.....and this website is one tool we provide to make dealing with insurance at little easier for you. But we're always here, in person; an Independent Agent representing dozens of companies to provide our customers with the best in coverage, price, and service. What makes us different? Well, we're not just a "family business" and we don't just "feel like family"---we actually are! 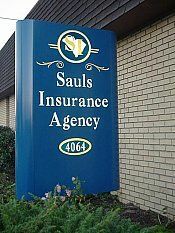 Everyone you speak to here is part of the Sauls family. And no one is paid sales commissions, so our only interest is what's best for your business and your family. ​Located in Columbia since 1965, we proudly serve our community and all of South Carolina with the best options from the dozens of insurance companies we present. ​ Give us a call to save money on your Business Insurance, including insurance for Contractors, General Liability, Workers Compensation, Commercial Auto, and Bonds (and much more). We also offer all types of Personal Insurance coverages to our clients in ​South Carolina ​including Homeowners Insurance, Auto Insurance, ATV, Boat & Watercraft, and Collector Car. Just give us a quick call today at 803-256-8983 or Submit one of our quick online quote forms - whether you need one policy or complete coverage, we have the options for you, with our personal service and ​easy payment plans.